The Prophet-6 desktop module is every bit as powerful and easy to use as its counterpart, the Prophet-6 Keyboard. 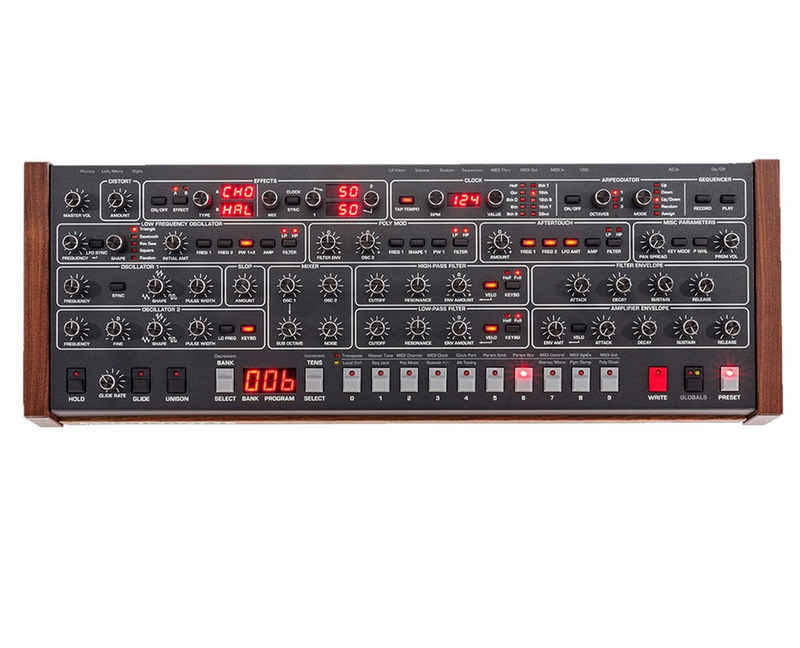 The module has all of the same controls as the keyboard version and provides the same immediacy and ease of use — with absolutely no menu diving. As with the Prophet-6 Keyboard, all parameters are at your fingertips, with full-sized knobs and switches and a comfortable, intuitive layout. How does it sound? Awesome — just like the keyboard, because on the inside, it’s exactly the same. The same analog signal path with discrete VCOs and VCFs. The same high-quality digital effects. The same classic sound that has been earning raves from customers and reviewers alike. We’ve also added a poly chain feature so that any two Prophet-6s can be paired for twelve-voice polyphony! Both the Prophet-6 desktop module and keyboard are Dave Smith’s tribute to the poly synth that started it all—the Sequential Prophet-5. But it’s not simply a reissue of a classic. Rather, as Dave puts it, “It’s the result of our effort to build the most awesome-sounding, modern analog poly synth possible.” The Prophet-6 takes the best qualities of the original Prophet-5—true voltage-controlled oscillators, filters, and amplifiers—and adds enhancements such as studio-quality effects, a polyphonic step sequencer, an arpeggiator, and more. The result is pure, unadulterated analog tone with the stability and reliability of a state-of-the-art modern synth. 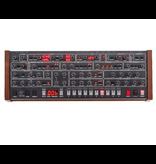 The knob-per-function front panel offers instant access to virtually all Prophet-6 functions. Included are 500 permanent factory programs and 500 rewritable user programs. 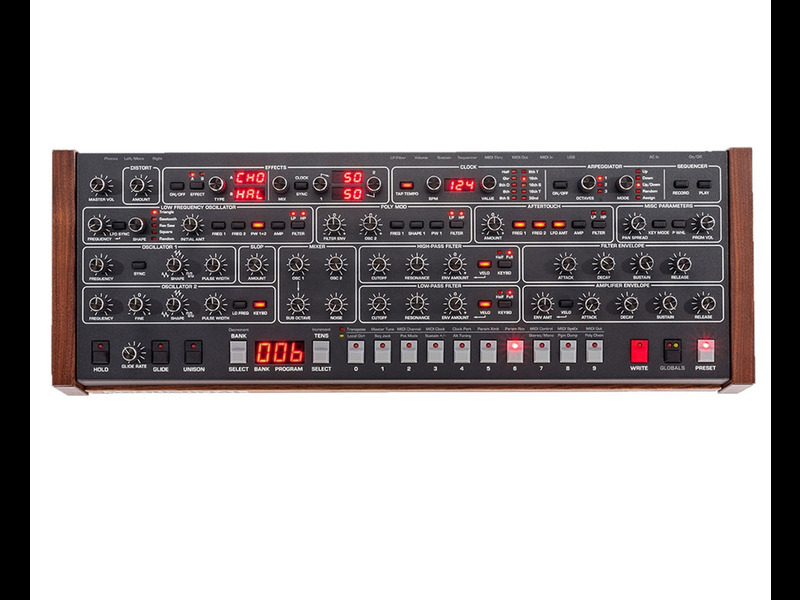 Toggling off the Preset button enables live panel mode, in which the sound of the Prophet-6 switches to the current settings of its knobs and switches. In this state, what you see is what you hear.